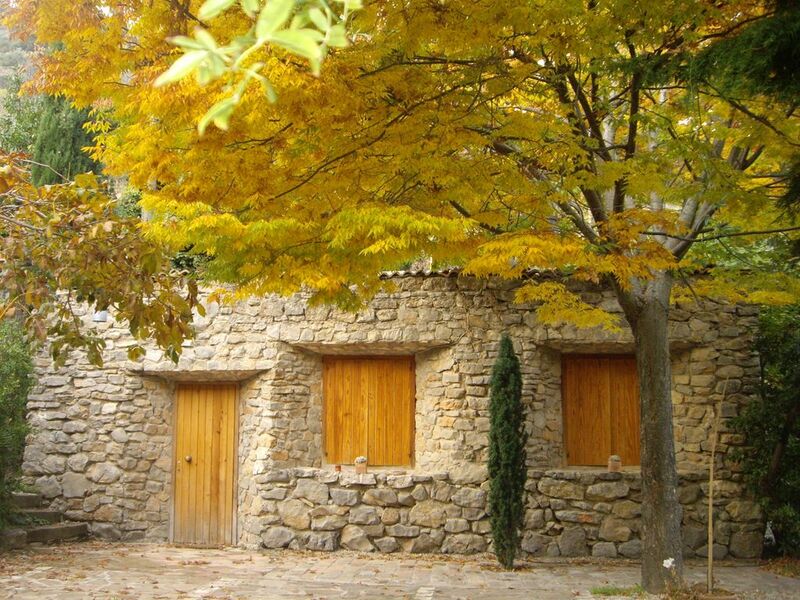 La Casita is a lovely stone-made house with 2 independent buildings placed around a porch.It has three bedrooms,two bathrooms,a kitchen,a large larder and a living room. Entouring all this you will find a vast garden with more than 1000 square meters,more than 100 different types of plants,a zen garden,fountains,a swimming pool and a porch.The swimming pool has built-in lighting and its design is integrated with the garden. You will find peace and relax in this beautiful garden while you take a walk and hear the birds sing,the water fall and smell the scent of flowers. You can drive or walk to the different and emblematic spots of Sierra Mágina.The owner who has a good knowledge of the area will give you good advice on how to get to these spots. It has all kinds of kitchen utensils and accessories, ovens, iron, kettle, toaster, blender, vacuum cleaner, cooker, juicer and kettle fast. Free firewood for the stove Hergom the room.
.'re Near Torres, where we can walk to shopping. A half hour drive, we can see Jaen and Ubeda and Baeza, cities Heritage Renaissance. Granada is an hour, almost all the way by highway. In villages close to Torres, we can also enjoy typical products and cuisine. In the mills near La Casita can buy the best virgin olive oil in the world. In the spring the river valley Torres is adorned with thousands of cherry blossoms that flood the slopes.